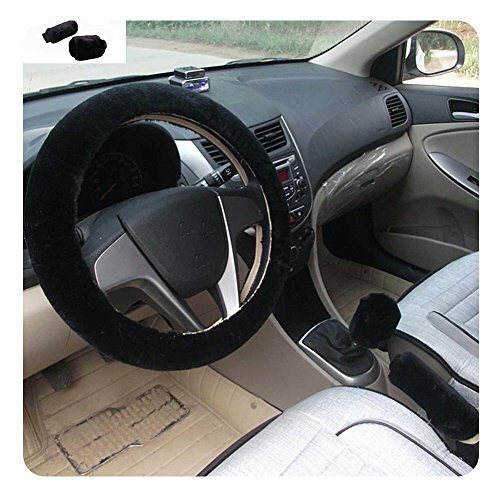 Features:Sports style steering wheel glove. 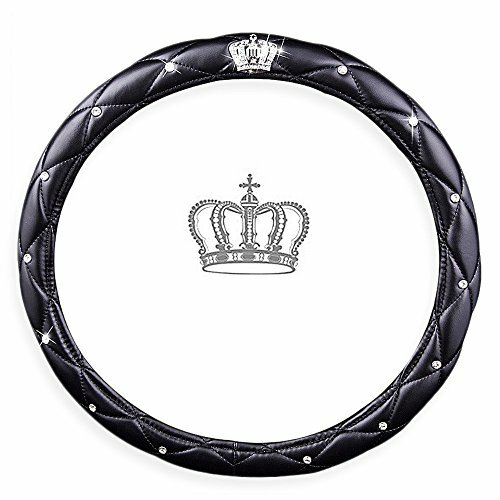 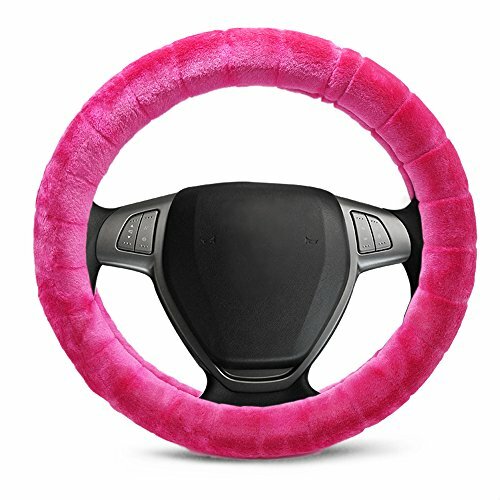 This steering wheel cover will Give protection to and prevent wear in your original steering wheel. 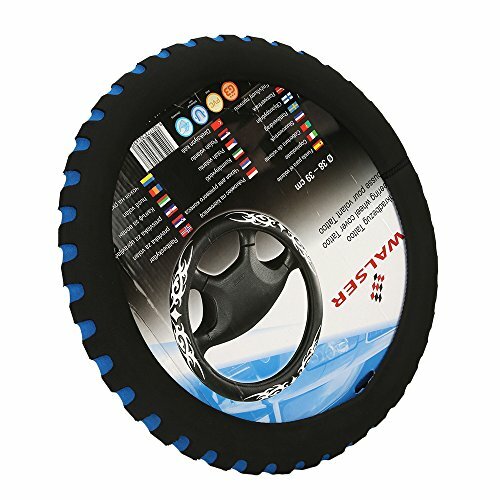 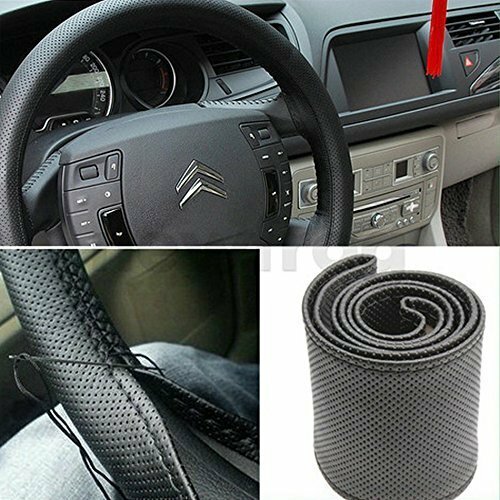 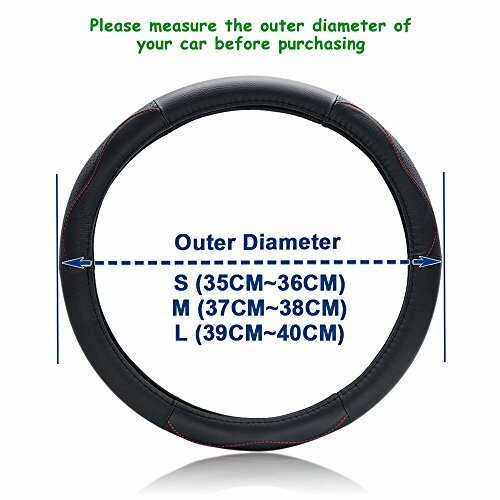 ✔ UNIVERSAL – Suitable for Steering Wheels With Most Car.Take the Exterior Diameter of your steering wheel before buying. 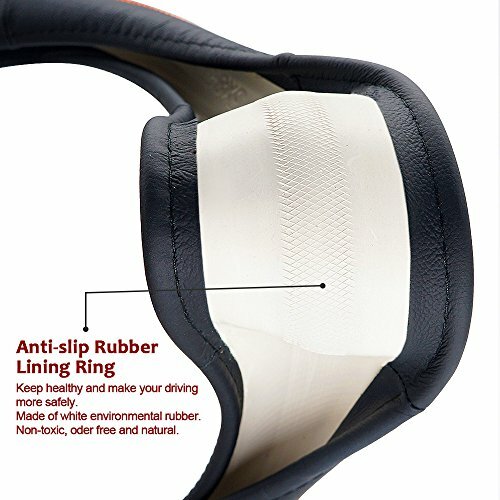 ✔ MATERIAL – Made From Soft Comfortable REAL Leather.SkidproofMaterial Used and Better Grip, Helps to keep Your Driving Safely. 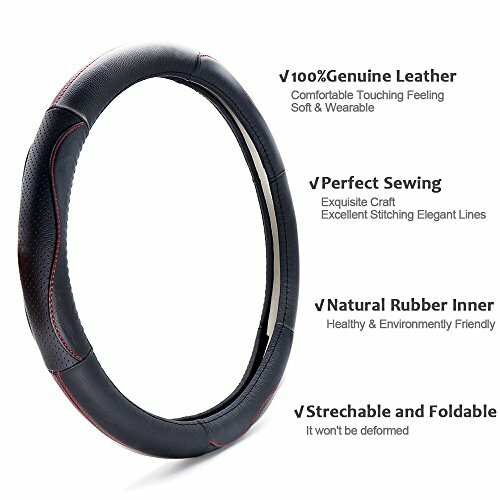 ✔ DESIGN – Fashionable Sport Design. 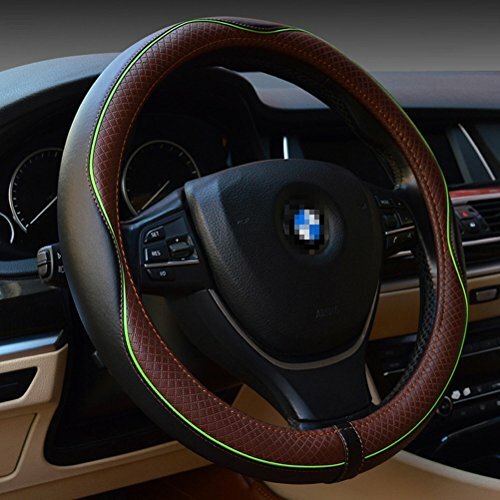 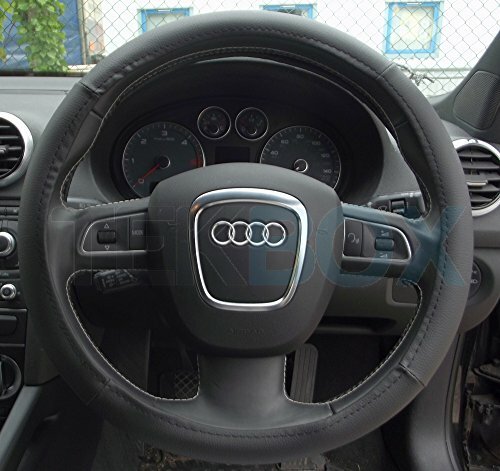 Good Touch Feeling and Give protection to Your Original Steering Wheel. 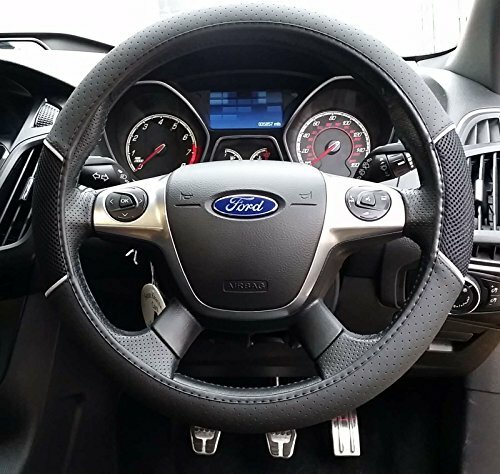 ✔ NOTE – This Can Take Some Force To Get On Because It Is Essential. 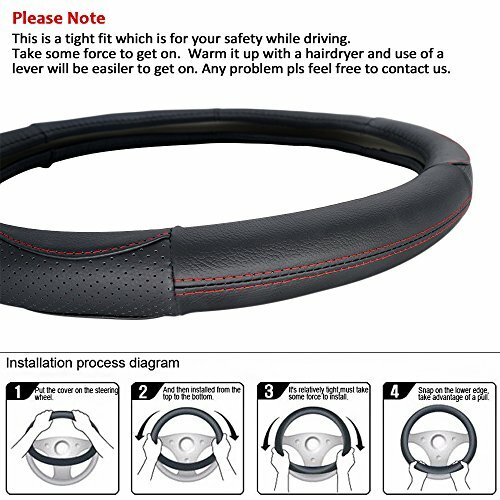 That this can be a Tight Fit. 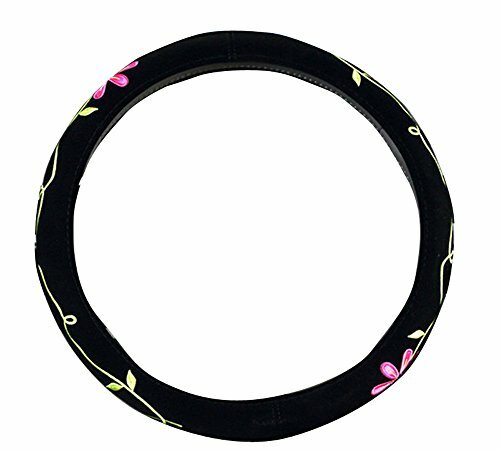 STYLE – 9 colour for Your Choice. 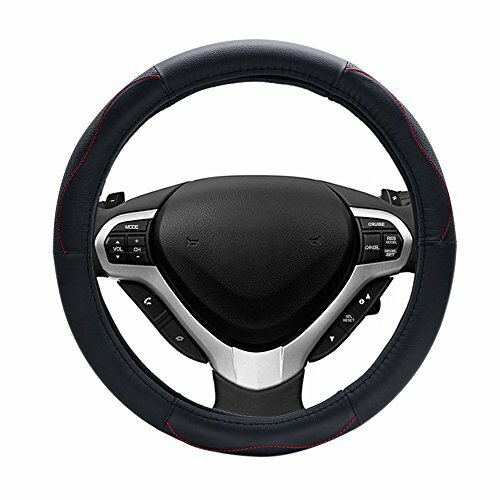 Black,Red,Brown,Beige,Grey,Blueline,Redline,Black with red, Black with brown.